What does Glass & Technology really mean? 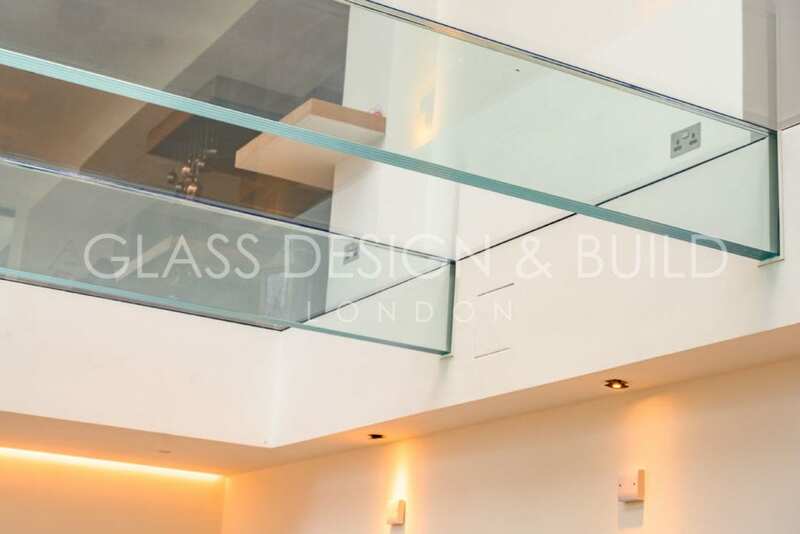 With our innovative techniques in glass manufacture and the combination of the latest technologies, we design and create impressive glass structures providing improved aesthetics and practicality within your home. 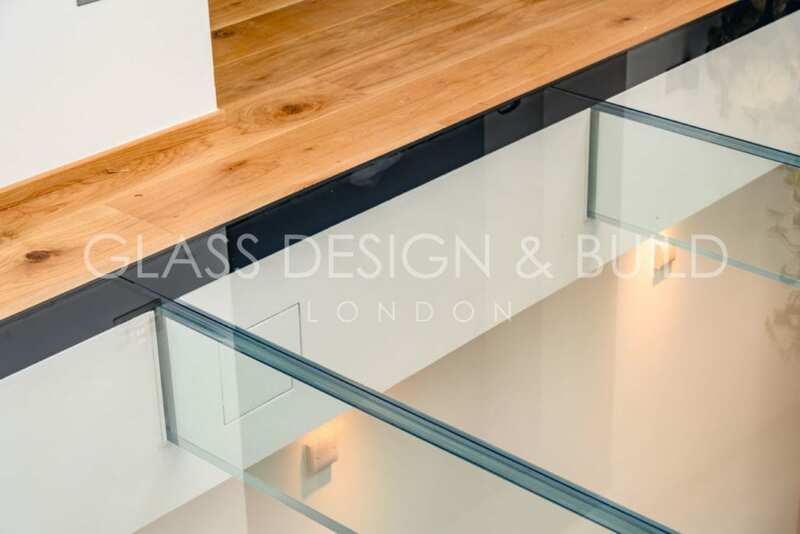 At Glass Design & Build London, we specialise in a multitude of glass designs including structural glass flooring to which we can incorporate our unique technology and our advanced bespoke creations are designed uniquely for your home or property. Glass is being used more and more within private homes and public & commercial properties as luxury modern interiors incorporating technology are becoming more mainstream, so should you follow this contemporary trend? Glass companies have been integrating small glass panels within flooring for over 15 years, but at Glass Design and Build London – our expertise and innovative techniques take glass flooring to the next level and beyond, with a multitude of opportunities we combine technology within structural glass to create stunning centrepieces in your home which enhances your property and your day to day living. Having our structural glass flooring in your home or property not only creates the illusion of a much larger space, it is also a great way of keeping you connected with daylight. Integrating as much glass as possible into your home and property maximises the natural light to flood into areas where light couldn’t normally reach. You will find that by filling your home with natural light, it will create a much more pleasant and healthier atmosphere and environment. Many glass companies offer a service which adds glass to an existing floor surface, meaning you only get a small section of glass. 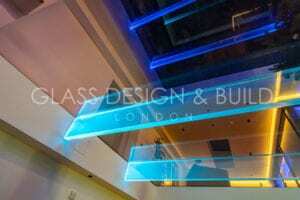 At Glass Design & Build London we are unique in accomplishing impressive large dimensions of structural glass flooring, and by mitigating a lot of the steelwork using our secret hidden fixing systems along with structural glass beams in extra extra clear glass making the entire floor area from glass – resulting in a stunning glass floor which offers total clarity and maximum light penetration. Not only do we design and engineer a full structural glass flooring system that maximises light and space, we have also developed and integrated the world’s first LED lighting system within our glass floor system. This lighting system can be an RGB (Red, Green Blue) system which can illuminate in any colour you desire! Why not take it a step further – we can even customise the lighting system to have the lights pulse to the rhythm of the music or to set the ultimate ambiance for your party and your guests. You can control the structural glass flooring lighting system using your smartphone or tablet with our app based interface, making the system easy to use and meaning you can change the lights from the touch of your screen. 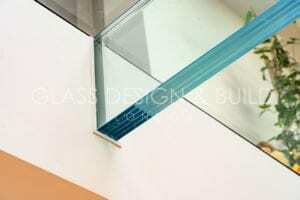 Our walk on structural glass flooring is unique and a state-of-the-art design which can not be found elsewhere. 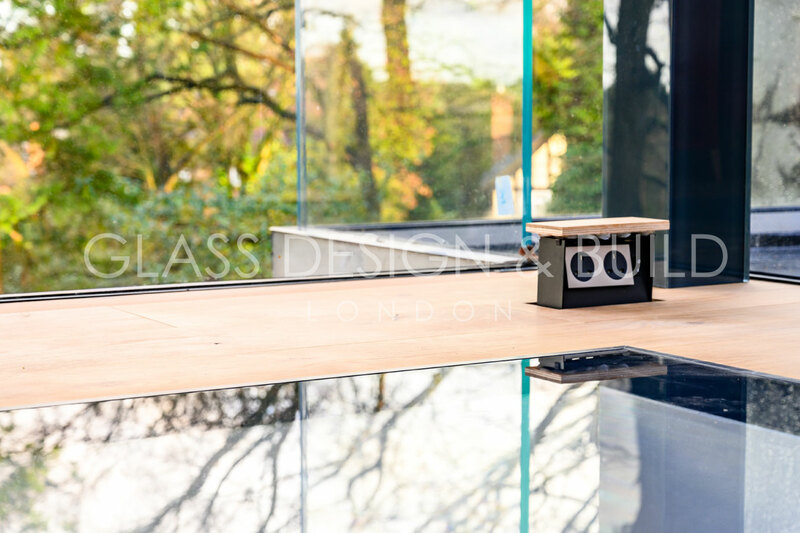 Here at Glass Design and Build London, we are always innovating to incorporate new technology into the glass structures that we engineer – creating elegant designs which are a statement feature for your contemporary home. Without giving too much away about the projects we are planning for the year; our designs will become even grander and more impressive than ever before. We will continue incorporating technology into our designs to create bespoke products which are totally unique. We are excited for what the future will bring for Glass Design and Build London and introducing new ways to enhance your property and creating unique stunning designs. We already build structural glass floors in large dimensions and we plan to carry on developing our unique product range. If you think that our walk on structural glass flooring system could be a benefit to your home or property then please call and speak our professional team members to find out more about the best options for you. Each project we create is bespoke, giving you a unique look, which won’t be found anywhere else and meets your exact requirements. 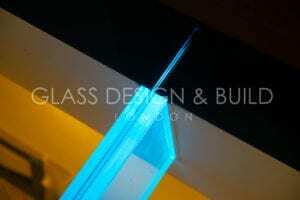 We have installed structural glass flooring all around the UK and have offices in both London and Surrey. So no matter where your home or property is located, we are confident that we can create something that will add to your property and that you and your guests will love! 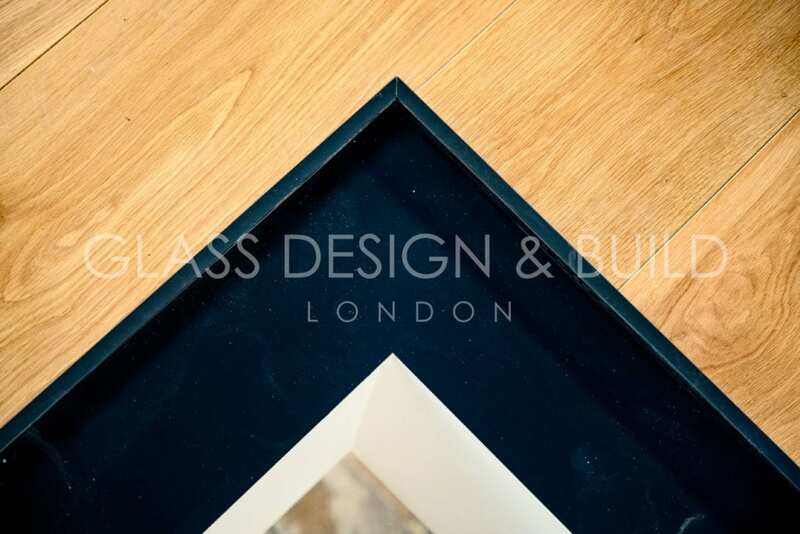 To find out how our structural glass flooring could be integrated in to your home, please call us on 0207 074 8989.